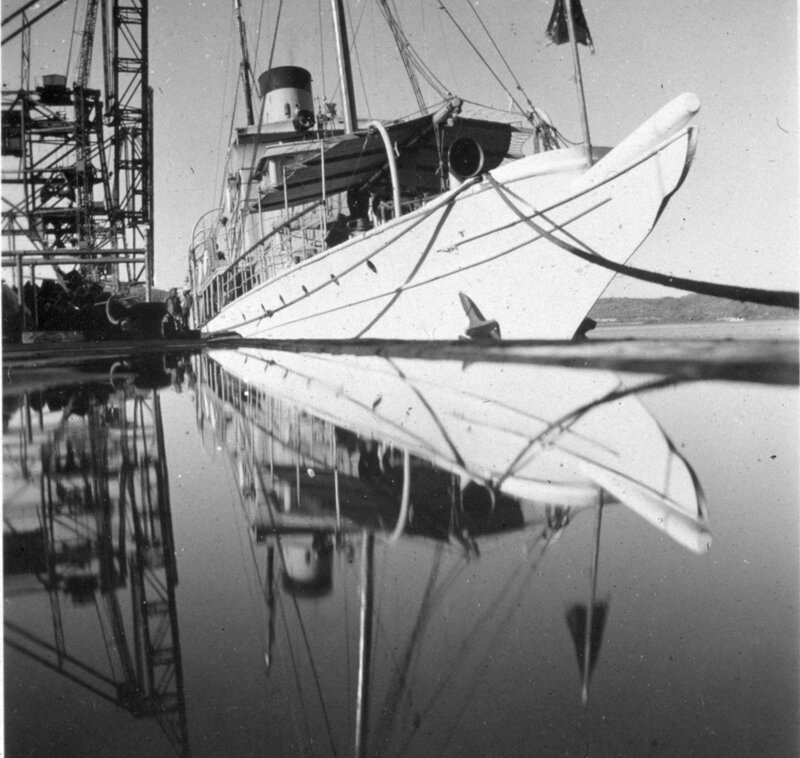 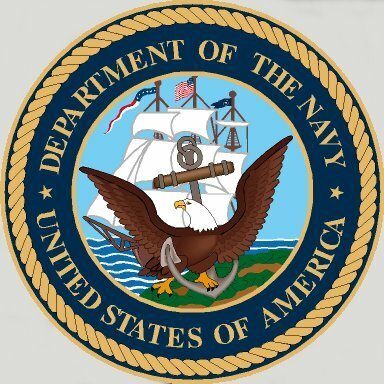 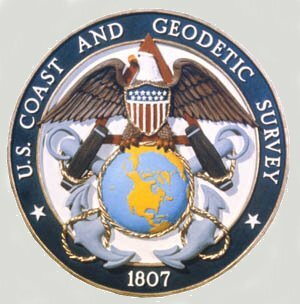 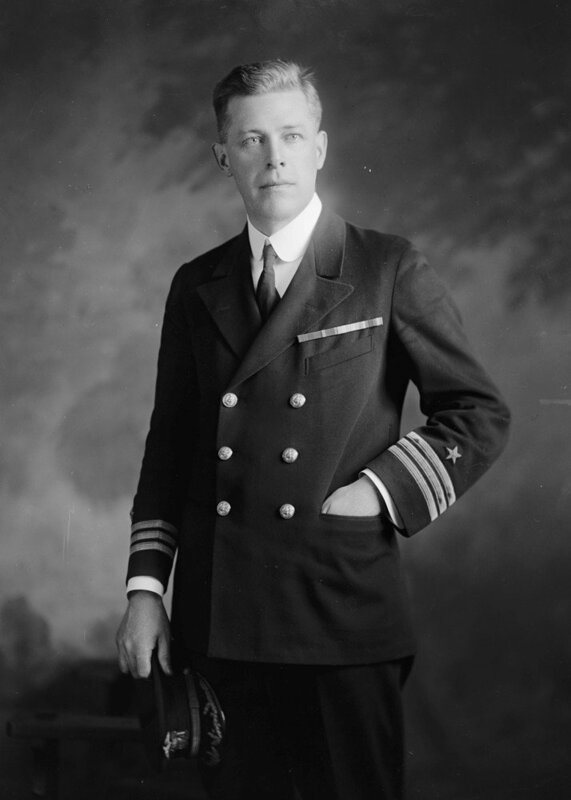 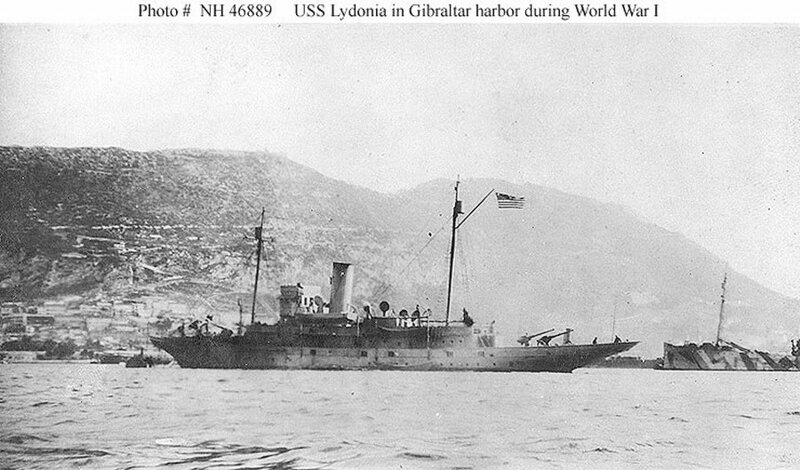 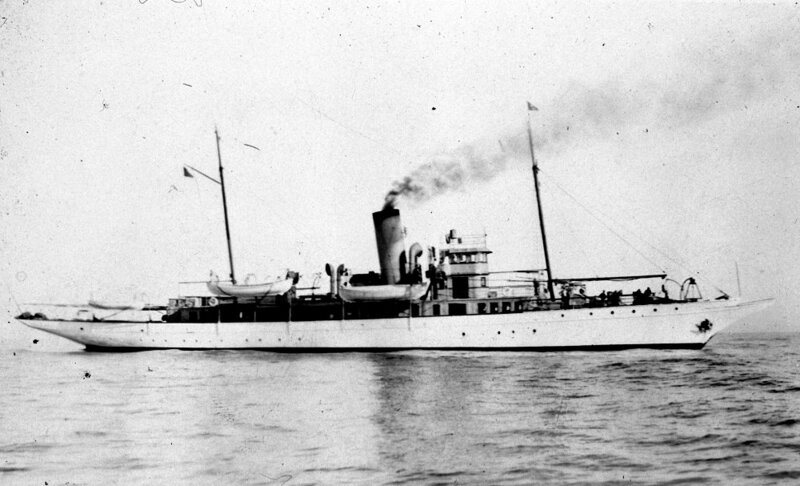 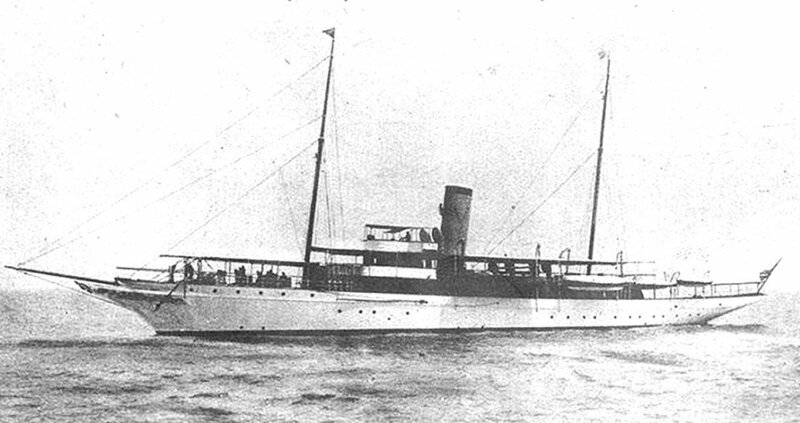 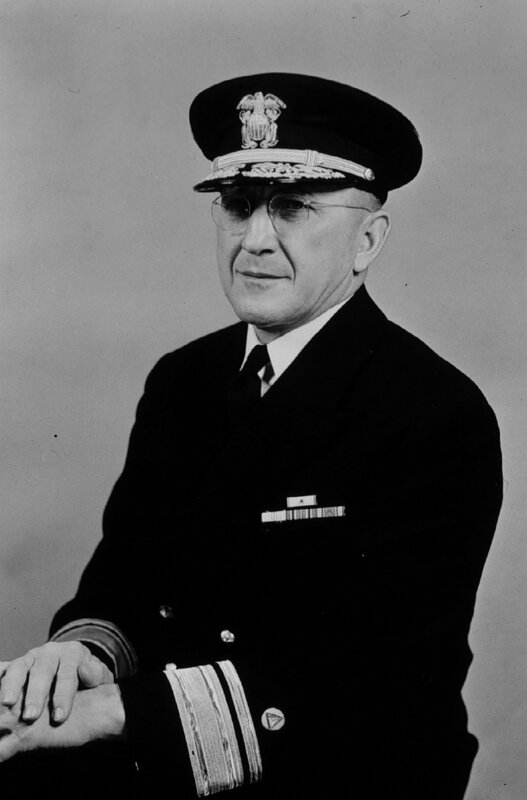 Lydonia served both the U. S. Navy and the Coast and Geodetic Survey. 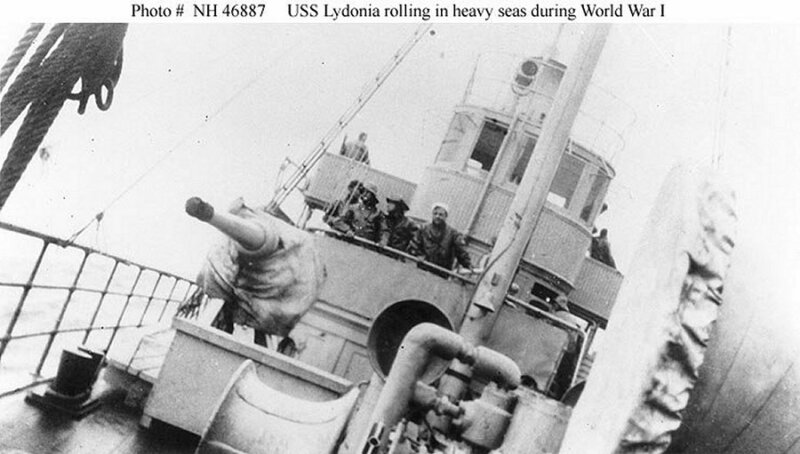 Armament: Four 3" mounts and two machine guns. 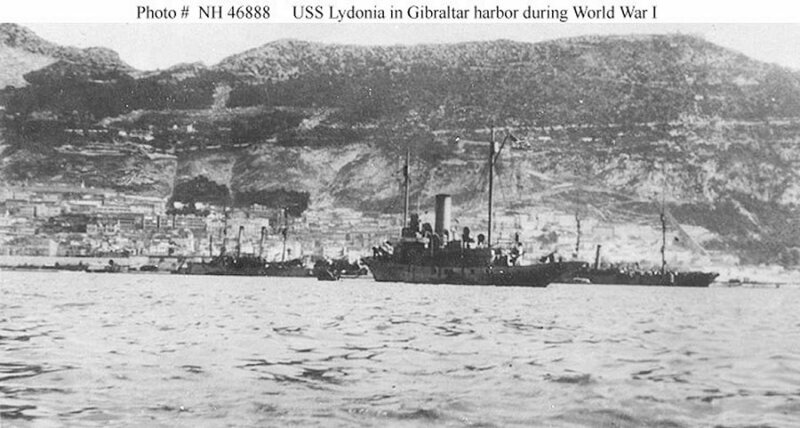 102k In Gibraltar harbor, during World War I. 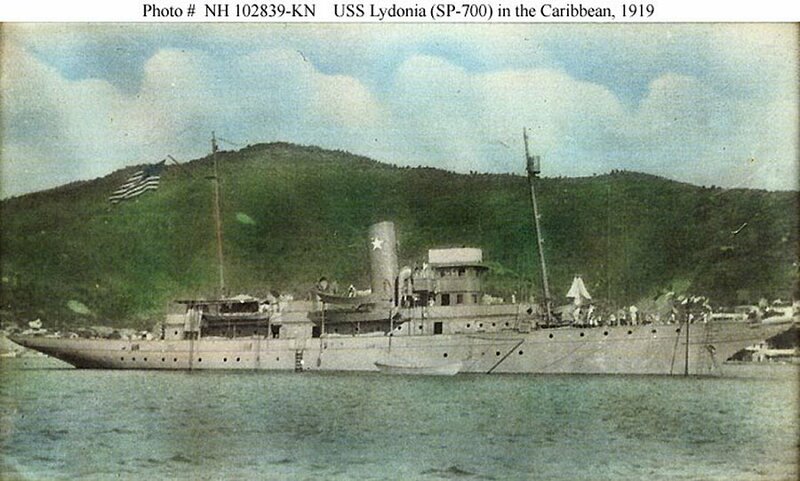 112k Reproduction of a color-tinted photograph taken while Lydonia was in a Caribbean port in 1919. 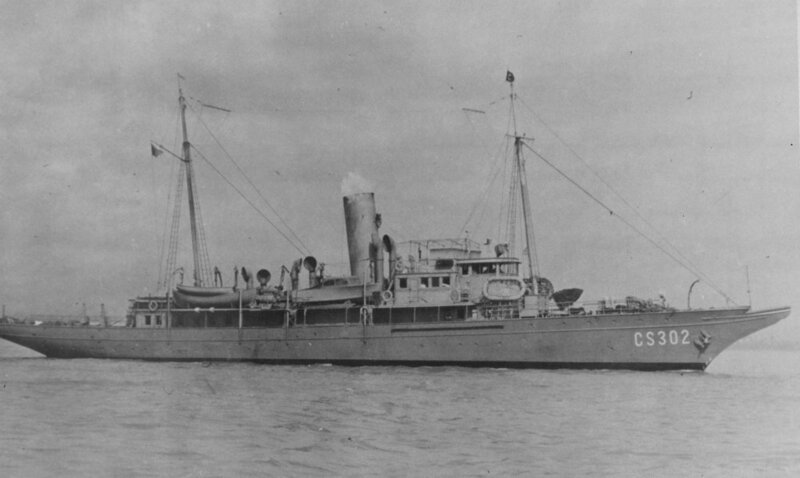 Location is probably St. Thomas, Virgin Islands. 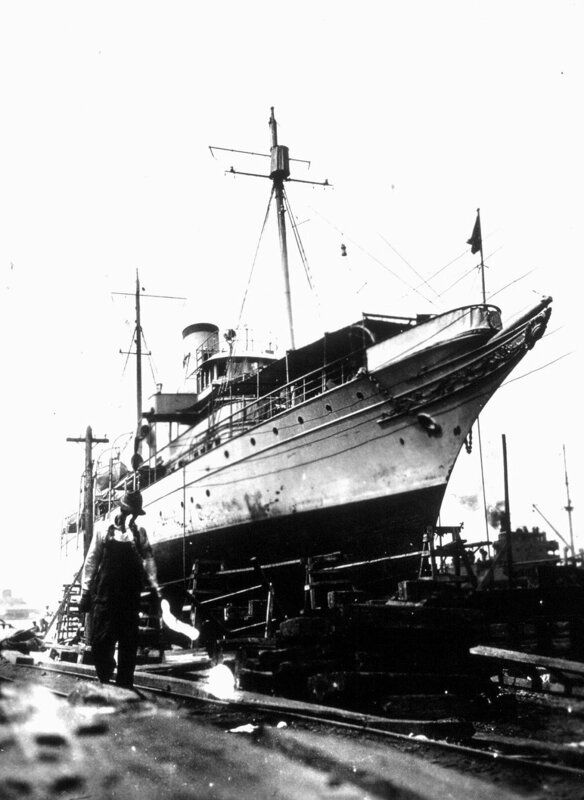 The star on her smokestack indicates that she was credited with sinking a German submarine during World War I.